Think of a four leaf clover and your mind instantly conjures up images of Ireland, Guinness and luck. Concentrating on the latter, there are few such global symbols of good fortune as this little green plant that all of us have searched for at some time in our life amongst the blanket of three leafed varieties. 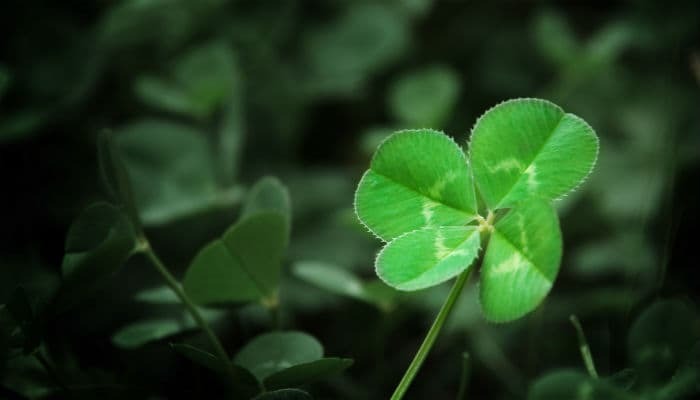 You will see a four leaf clover on jewellery, mugs, stationary and all manner of items that people give to others as gifts to try and bring them good luck. Can you give somebody the gift of luck? Are people naturally more lucky than others or do we make our own luck? That is not a question we are qualified to answer but wishing somebody good luck is something we all do on a regular basis. The workplace is no different as there is always somebody going for a promotion, or another job or who have been deployed to another city or country. If the words 'good luck' seem empty to you and you want to say it in a different way this Four Leaf Clover does the job for you perfectly. There is no message printed on these corporate ecards it has been left text free for you to add your own words of encouragement. We’d like to take this opportunity to encourage you to use our services this coming Christmas season for our marketing leading Christmas ecards for business. Go have a look now!